Some of the famous figures have quite literally followed their dreams and changed their lives and affect the world. Whether it was Abraham Lincoln seeing his assassination in a dream or Niels Bohr who first conceived the configuration of an atom in his dream, there have been many examples of dreams that have inspired inventions, works of art or discoveries that are now recorded in the history books. Madame C.J. Walker was the daughter of freed slaves and grew up in poverty. She was no stranger to hard work, yet the stress of caring for her daughter and earning a living made her hair thin and fall out. The young widow tried many remedies, but nothing seemed to work. One night, a man appeared in her dreams and gave her a recipe for a hair serum. 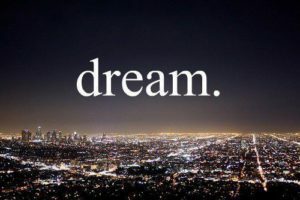 When she woke, she gathered the ingredients and made the first batch of the dream formula. It was this recipe, combined with her hard work and marketing genius that made her one of the first self-made millionaires who was a woman. In the midst of designing prototypes for the first sewing machine, Elias Howe ran into trouble with the design of the needle. After spending time on this problem, he went to sleep and dreamt of being attacked by cannibals. They were dancing around and poking him with spears that had a hole at the tip. He realized that this was the design element missing from his invention and it was the dream that led to the revolutionary lockstitch sewing machine. America’s leading general during World War II was General George S. Patton. He famously relied on his dreams to help determine battle plans and would often dictate battle plans after waking. One of the most famous examples is his surprise attack on Christmas Day. He successfully surprised the German troops as they readied for an offensive during the Battle of the Bulge. One of the most famous songs by one of the most famous bands in history was first heard in a dream. In the middle of making the movie Help!, Paul McCartney of the Beatles first heard an inspiring tune. When he woke, he went to the piano and started to play. It came so easily to him that he first assumed it was a song that he had already written. Instead it was the very beginnings of a new song, Yesterday. Novelist Stephen King is one of the most prolific writers in modern time. His work has been made into movies, television shows and stage productions. He often credits the inspiration for his artistic works to imagery and events that unfold in his dreams. 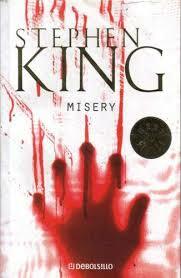 The book Misery, which was made into a movie, was first thought of in a dream as he napped on a flight. Professional golfer, Jack Nicklaus credits improving his swing with a dream. In the mid 60s, he was in a slump and couldn’t quite get back to his high-scoring games. As the pressure got to him, he had a dream where he was holding the golf club differently. Once he woke up, he decided to give the new swing a try and enjoyed improved scores. Previous What Should You Do When Somebody Predicts Your Future?